DE <*xml:namespace prefix = st1 ns = "urn:schemas-microsoft-com:office:smarttags" />LA PRIMITIVA INTERNACIONAL ONLINE PROGRAM held on 10th December, 2006. 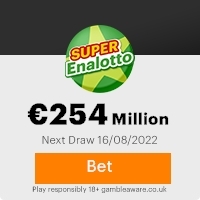 Your e-mail address attached to the winning ticket number: 245-242-065 with Serial number 255-189-279 drew the Lucky Numbers:06-19-25-39-44, which subsequently won you the lottery in the 2nd Category. Your email have therefore clipped the above stated winning Ticket and Serial Numbers approved to claim a total sum of 450,000:00(Four Hundred and Fifty Thousand Euros Only)in cash deposited with High Insurance Policy to its real value and credited to file UMP/TM5343. Thousand Euros Only) shared amongst the (10) lucky winners in this category. 100,000 unions, Registered Associations, and Corporate Bodies and Public Institutions that are listed online. released to you by our Accredited Bank Or Finance Institution. claims is processed and your money remitted to you in whatever form you sole desire, you would be informed in accordance with the European Union Financial Act 2002, all relevant documents covering your winning must be legalise in the. Ministry of Justice here in Spain before the bank will effect payment of your wining prize. This is part of our precautionary measures to avoid double claiming and unwarranted abuse of this program as well as conforming to European Union Money Laundering control. To file for your claim, please contact our Fiduciary Agent who will act on your behalf and monitor your transfer. This Email with the Subject "EURO LOTERIA APUETAS; YOUR EMAIL CLIPPED LUCKY TICKET" was received in one of Scamdex's honeypot email accounts on Tue, 02 Jan 2007 04:43:48 -0800 and has been classified as a Generic Scam Email. The sender shows as "euro serve loteria apuestas" <sweepinter@netscape.net>, although that address was probably spoofed. We recommend that you do not attempt to contact any persons or organizations referenced in this email, as you may expose yourself to scammers and, at the very least, you will be added to their email address lists for spam purposes.